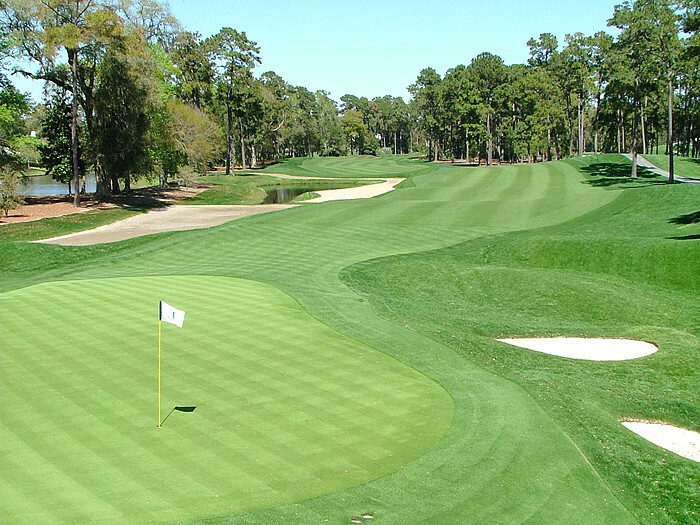 Tournament Player's golf course TPC at Sawgrass second hole picture. *Click Here to go back to the Tournament Player's Championship at Sawgrass virtual tour to see more great pictures from the TPC Stadium Course and The Player's Championship! Here's a great picture of the 550 yard par five second hole from the green back to the second and third shot landing area's in the distance from the TPC Stadium Course and the Player's Championship!